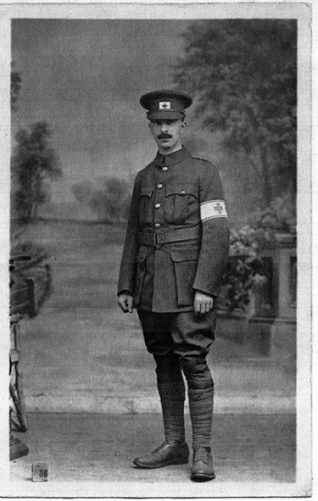 On 11 November 1915 Leonard received notice that his application to join the Friends Ambulance Unit had been accepted and he underwent special training. He travelled to Boulogne, where he joined Hospital Train 16 and became a nursing orderly. 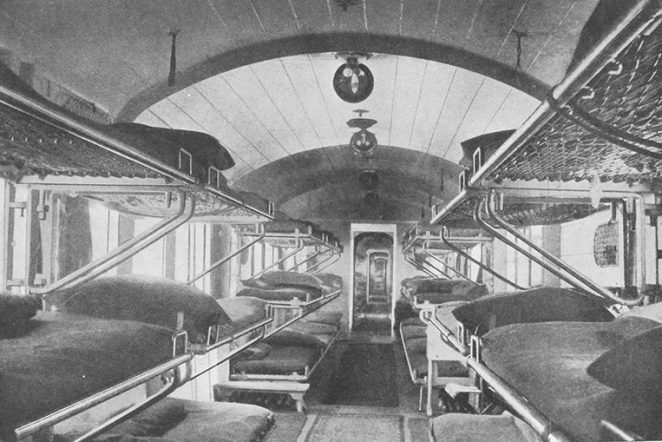 This train was comprised of 15 coaches including three lying down wards having 36 beds in each, treatment, dispensary, and isolation coaches. There were five sitting wards seating 64 in each for walking wounded, as well as coaches for administration and staff sleeping and a kitchen. Hospital trains during World War I enabled medical personnel to tend to ill and injured servicemen on their way to hospital. Curiously there is a similar train that travels throughout modern India today. It is not specifically for army personnel, but for outlying villages that don’t have doctors, or facilities for mass inoculations, and minor operations. I’m trying to find out some information about Leonard Devereux, the Brighton based WWI Conscientious Objector including where he’s buried. Would anyone know?